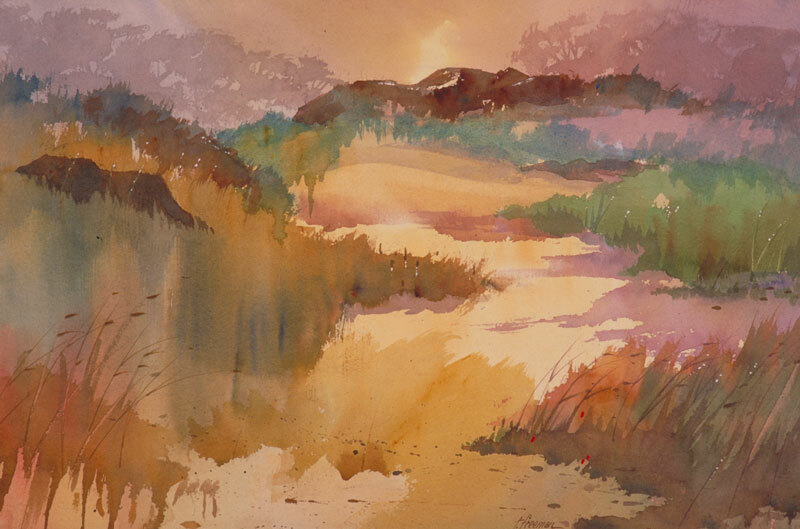 Thomas Freeman Original Watercolor Painting: "Dune Morning"
This is early morning and the sun is burning through the fog. I made it a somewhat warm fog and sun. The effect I wanted was a very loose, wet watercolor. So I painted it very quickly and let the colors run. I got a colorful, loose interpretation as a result.